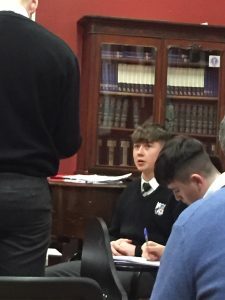 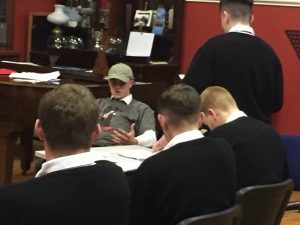 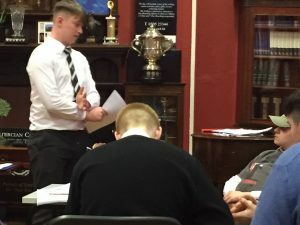 On Tuesday evening last three legal professionals came to the College to prepare the TY students for this year’s Mock Trials Competition which will take place at the Criminal Courts of Justice on April 13th. The students had a really enjoyable evening where the enacted two prescribed cases where they played the roles of Barristers, Solicitors, defendants, witnesses and the accused. It was a great opportunity for them to have the professional advice going forward to the competition.